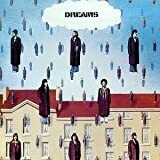 Dreams, a fusion group featuring Billy Cobham plus Randy and Mike Brecker, releases its self-titled debut on Columbia. Saxophonist Wayne Shorter, pianist Joe Zawinul, bassist Miroslav Vitous, drummer Alphonse Mouzon and percussionist Airto Moreira form the fusion supergroup Weather Report. Free jazz saxophone player Albert Ayler dies on November 5. Pianist Chick Corea, reedist/percussionist Anthony Braxton, bassist Dave Holland and drummer Barry Altschul form the free jazz group Circle. They record Early Circle and Circulus (Blue Note). The rhythm section of the group also records Song of Singing (Blue Note) under Corea's name. Duke Ellington records New Orleans Suite (Atlantic).